Do you want to reprogram your mind for Wellness and Wealth. If yes, here is a new two audio CD courses having 20 studio recorded audio commands/exercises. As we know that all the wealth lies in the mind. It is necessary to install new beliefs and creativity in the mind and also delete the patterns of past failures and negative beliefs. 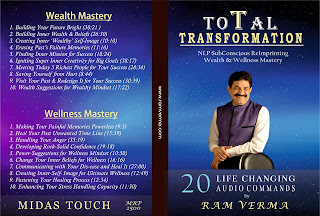 Ten audio commands/exercises for Wealth Mastery helps you develop your mind set for money. Also, we need to reprogram our mind for wellness as well. As we are living in the 21st century and face a number of issues like anxiety, stress and depression, we need to reprogram our mind for emotional and mental wellness. 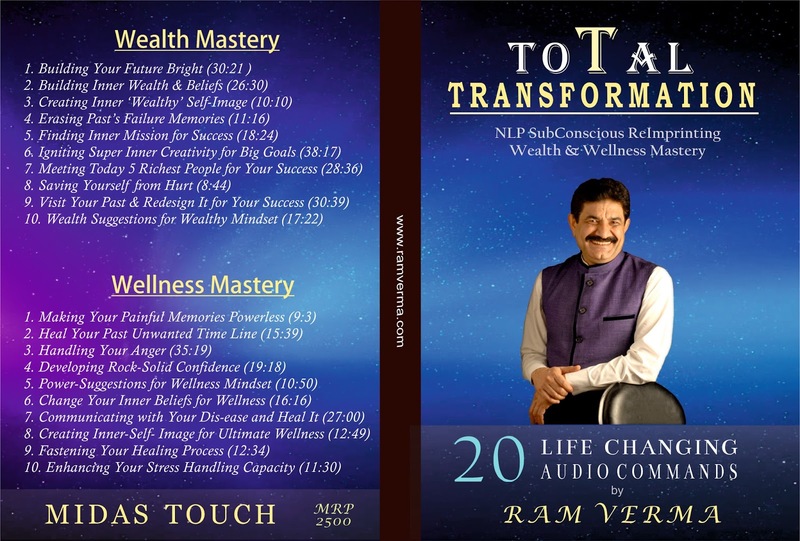 Ten audio commands/exercises for Wellness Mastery will help you erase the patterns of anxiety, stress and depression, and also install the patterns of wellness and happiness. You can get this pack of two audio courses with 20 studio recorded commands for just Rs 990 (Free Home Delivery in India) though the actual MRP is 2500. If interested, you can call Kusum +91-9873155244.